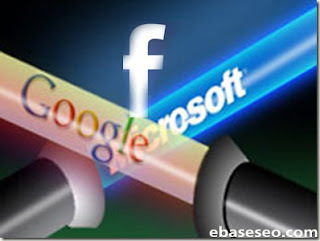 Microsoft enters in to the market of social networking, Every big company is now turning to web 2.0 or say web applications. There are many of the big International MNC's like Apple, Google, Facebook, Microsoft, Twitter etc who have been working with web softwares or say web applications. Social networking has been around a few years now with Facebook leading the way with users numbers and size. While Twitter has also been successful in its five years of existence, Facebook hasn’t had a true rival. But this is now changing with the launch of Google + recently which has received many plaudits, and is liked by us on Product-Reviews. But it seems that Microsoft is also attempting to have a crack at the market, so today we are looking at Facebook vs these new social networking sites such as Microsoft Tulalip and Google+. Microsoft may be about to launch a new social networking site, as last week the company accidentally put up a splash page which was advertizing a social project. According to Jennifer Madison of Mail online the page was under the domain name of socl.com. It was entitled Tulalip and promised users to “’find what you need and share what you know easier than ever’. There was a page that displayed features which allowed users to connect via Facebook and Twitter, but no Google+. There were some links to ‘See how it works’ amongst others but they obviously didn’t work. You can see a video below showing the test page. Microsoft have quickly removed the page and replaced it with a message apologizing about the error. When you click on the page now it thanks you for stopping by, and states that it was an internal design project from a Microsoft Research team. It goes on to say that it was published to the web by mistake, and “we didn’t mean to, honest”. Many more to say but i think if every comapny brings its own social networking websites then there will be a social website owning by each small company or say in future each individual would have a social networking websites of its own.